Indeed there's more. At the age of 32 he was already a publisher. 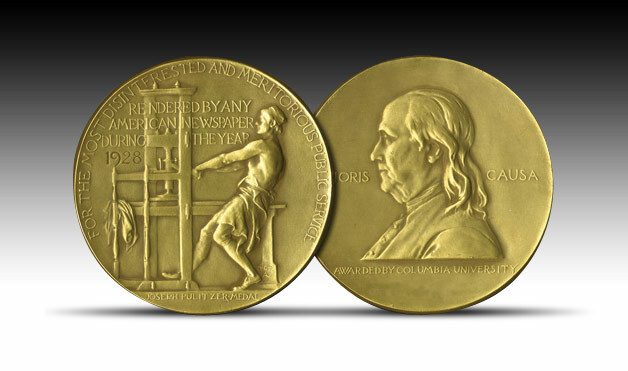 He was the first non-American to win the Pulitzer Prize, which is basically the most coveted award for people who write. It only means he writes very well. The first time I read his work was in a book of Ferdinand Marcos "The Democratic Revolution in the Philippines" of which he wrote the foreword. My thoughts were it was an excellent piece of essay and during that time, I had no idea who Carlos Romulo was. 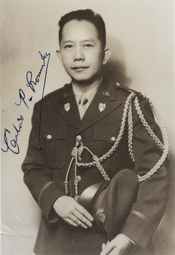 He served a lot of presidents of the Philippines heading various departments and he almost became president of the Philippines. 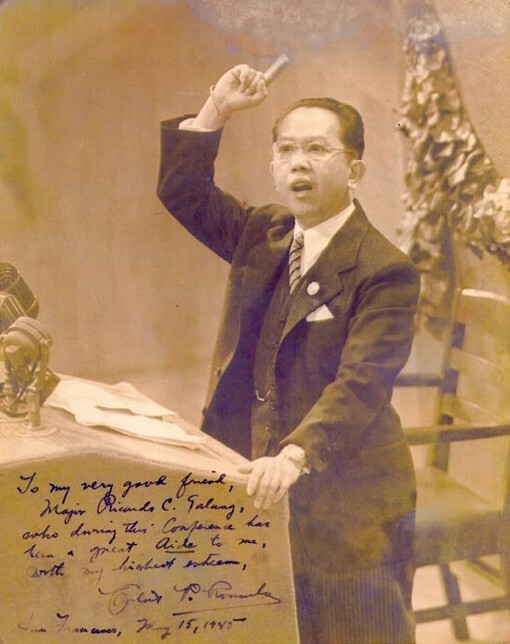 Carlos Romulo was a nominee for the presidential candidate of the Liberal Party but lost at the convention when Elpido Quirino pushed for support of the party for his re-election. Romulo left the Liberal Party and joined Ramon Magsaysay as his national campaign manager. Had Romulo became the bet of the Liberal Party, the results might have been very interesting. But what stands out is his contributions to the world. 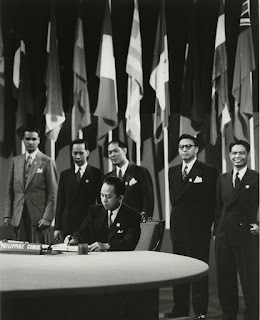 Carlos Romulo was one of the signatories in the Charter of the United Nations. The charter was the foundational treaty of the member nations of the UN which is the heart and soul of the organization. He also became President of a UN General Assembly and the Chairman of UN's Security Council. Until the last days of his life he has been in service of world peace and unity. Throughout his life he has been an agent of diplomacy. In one of his notable speeches he said “Words and ideas are more powerful than guns in the defense of human dignity. Treaties are stronger than armamented boundaries. 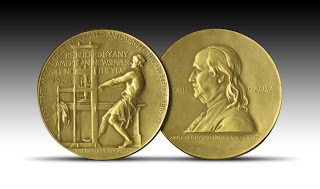 The only impregnable line is that of human understanding.” He knows the two sides of the coin as he had seen the horrors of war and beauty of life. His humanitarian efforts to safeguard life are still being felt today. Should we call him a hero? Perhaps knowing more about him and appreciating his contributions is good enough...for now.